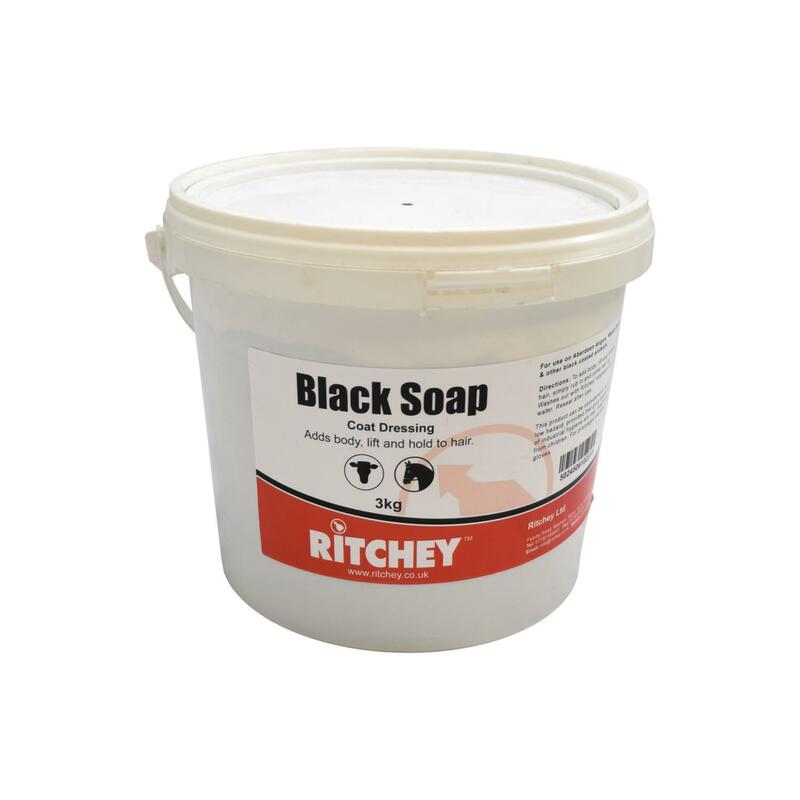 Ready to use black soap coat dressing. Adds body, lift and hold to Aberdeen Angus, Welsh Black and other blacked haired Cattle. To apply simply rub in and comb hair up. Washes out with shampoo and water. Wear gloves for prolonged use.